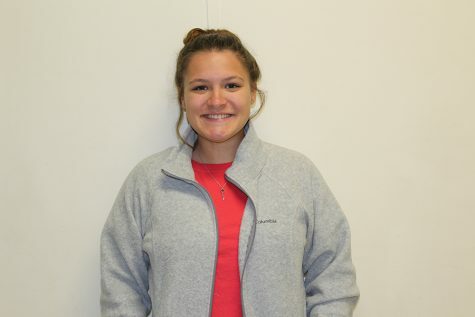 According to staff writer Krislynn Tapley, graduation is so much more. Graduation means you passed those pesky four years of high school. It means you finally got your diploma. It means you can go to college, to the armed forces, or to work. It means all four years are starting to come to a close but the memories will always live on. It means you’re about to have the summer of your life with your best friends. Then three months later, you start classes at your dream school to set up a platform for your future. 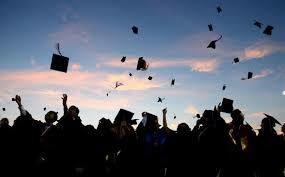 However, for many seniors, graduation means much more. It means you survived all of the drama. You got past your bullies and insecurities. You moved on from that fall-out with your old best friend. You let go of the heartbreak from your ex. You toughed out all of the petty girls, the mean boys and the cliques. You fought some of the hardest battles, but you won. You became a stronger person through all the negativity and hardships. Graduation means a chance to start over. You get to go to a new school with new peers and new classes. Not everyone will know your past and everything about you. You get a chance to discover who you are as a person and figure out what you truly believe in. You can follow your dreams. You can be yourself, and you can be happy. It means you beat the odds when some people didn’t think you would. When you come from a rough background, or struggled in school, it could’ve been hard to focus on your education – especially when you have Negative Nancies telling you every single day “this isn’t your best subject,” “you won’t make it very far with those grades,” and so much more. Graduation is a time when you prove these people that you are capable of success. Graduation means opportunity and freedom. It gives you the chance to go out in to the world and do what you want. It means being able to find happiness in your work and life. Graduation allows you to become what you have always wanted to be.